Archaeologist knapping flint stone tool. 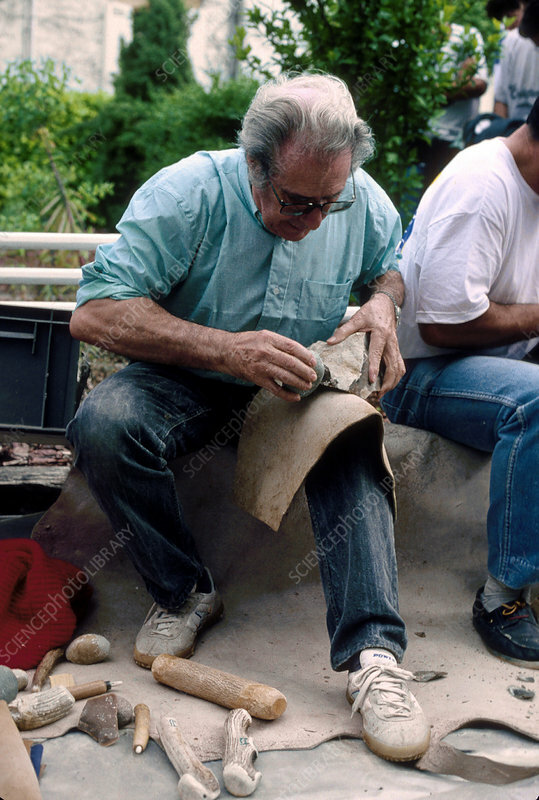 French archaeologist Jacques Tixier knapping (flaking and shaping) a piece of flint to reconstruct the process of making hunting tools. This reconstruction is taking place at Eyzies-de-Tayac, south-western France. Fossils and tools have been found here from a number of prehistoric cultures. Photographed in 1994.